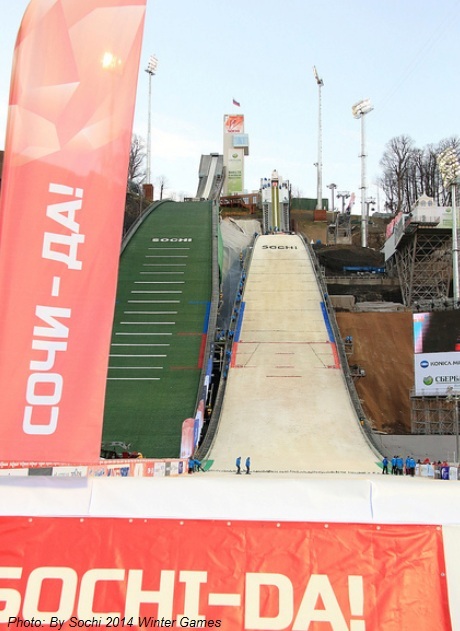 As the much-anticipated Sochi 2014 Winter Olympic Games approach, the mountain resort of Krasnaya Polyana is getting ready to host international competitions at its brand new facilities. The state-of-the-art biathlon and ski complex, which boasts arguably the world’s most complex and challenging runs, is set to host the International Biathlon Union (IBU) World Cup Biathlon competition in March this year. While Russian athletes are yet to produce impressive results on home soil, the team behind the ambitious project has begun to set its own records. The Alpika Service ski complex is putting the finishing touches to the world’s longest aerial cableway, which will link the transport hub at the bottom of the Krasnaya Polyana resort with the ski and biathlon complex up at the Psekhako Ridge. The cableway will have the capacity to serve up to 3,000 people per hour, according to Vladimir Makarenko, deputy director for the construction of Olympic projects of the Social Invest wing of the Russian oil and gas giant Gazprom. “The technical solution that we are employing on this cableway is unique: This is a so-called 3S road, meaning that instead of the one rope usually used on such cableways, we are using three,” said Makarenko. Work is in full swing at the future transport hub that will connect those who arrive by train from the Adler-Sochi airport and by bus from the nearby areas to the stadiums by three aerial cableways. The three cableways will together be able to process up to 7,000 people per hour. At present, with about 70 percent of work completed, Alpika Service is a busy construction site, with shells of buildings looming over piles of facing tiles, pipes, metal and wire. Matvei Geller, head of Gazprom’s special projects department, said all construction work will be finished by October this year, when the company will announce the total costs of the ambitious project. The biathlon and ski complex has already gained praise and approval from both medal-winning sportsmen and sports officials who have had the opportunity to assess the facilities. Sergei Prosvirnin is a four-time world champion in summer biathlon, a warm weather version of the traditional biathlon in which the skiing is replaced by either running or mountain biking. 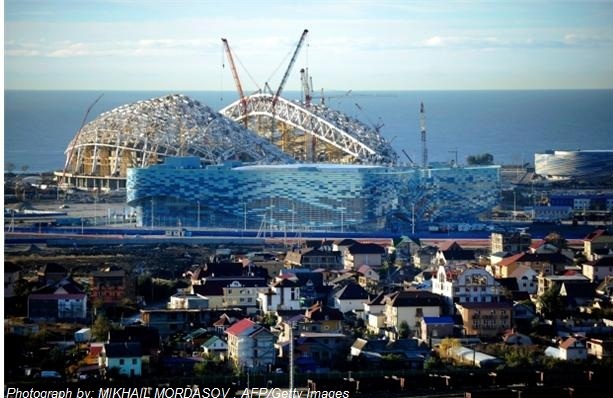 He now works for the state-run ROS Engineering Service that has been contracted to provide technical assistance in the construction of the Olympic projects. Prosvirnin says that the 4.5-kilometer biathlon run throws a tough challenge to sportsmen, being one of the most difficult of its kind in the world, owing to dramatic variations in elevation over its course. In addition to the biathlon ring-run, two five-kilometer runs for skiers have been completed. Members of the Russian female ski team recently tested the highly challenging roller ski track — and a fair proportion of the sportswomen were unable to complete the run. “We drew some conclusions from the team’s performance, and we will make some adjustments to the track,” Prosvirnin said. 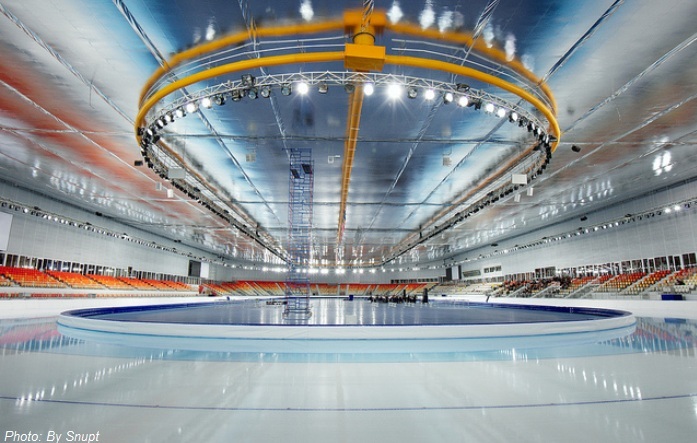 The ski and biathlon complex will also serve as a permanent training base for the Russian teams, which until now have been forced to train abroad in the absence of high-quality facilities on home ground. 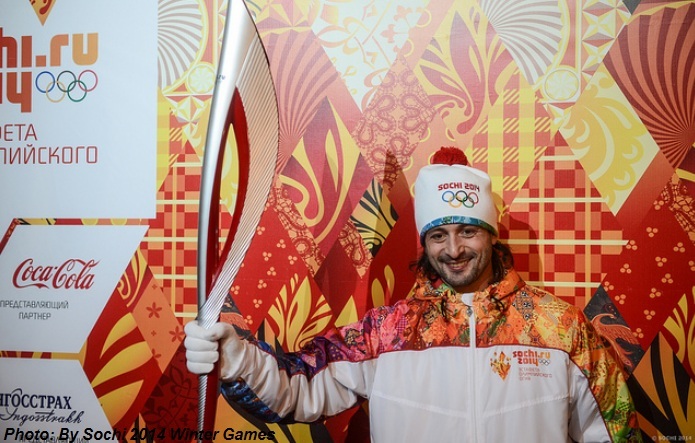 The ski slopes and tracks are located in close proximity to the Olympic village — a great advantage for the athletes. When the athletes leave their apartment in the Olympic village, the closest ski run will be located within 50 to 100 meters — a distance unheard of in most countries, where athletes are usually driven by bus for a good hour or two from the cottages to the slopes. The Olympic village will consist of cottages that can accommodate 280 athletes — which have already been completed — as well as a vast hotel and apartment complex with a capacity for a further 800 people. It is expected that the cottages, made of pinewood, comfortably furnished and overlooking breathtaking mountain landscapes that rival the most prestigious Alpine resorts, will sell like hot cakes once they go on sale after the Olympics. 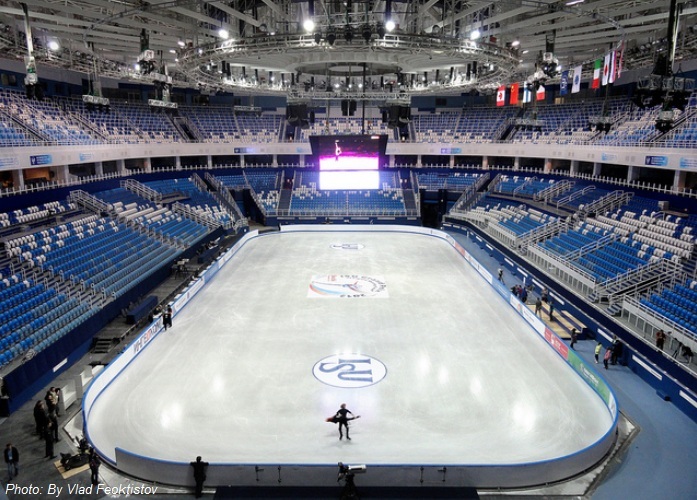 Both local residents and the Olympic ideologists are hoping that the Olympics will give Krasnaya Polyana a huge boost that will prompt the development of the locality into a prestigious Russian winter resort. After the resort is put into full-time operation, prices for ski-passes, accommodation and services will be on the same level as at the major European ski meccas, and it is hoped that a significant proportion of the Russian visitors to the latter will opt for Krasnaya Polyana and become loyal regulars. The issue of when the investment will be returned, and even when the resort will start bringing in profit, remains an open question. The Olympics, just like the space and arms industries, remain a matter of national pride and prestige and are admittedly more of a political rather than commercial enterprise.